Our Milky Way. Home Sweet home. A Galaxy is a massive, gravitationally bound system that consists of stars and stellar remnants, an interstellar medium of gas and dust. 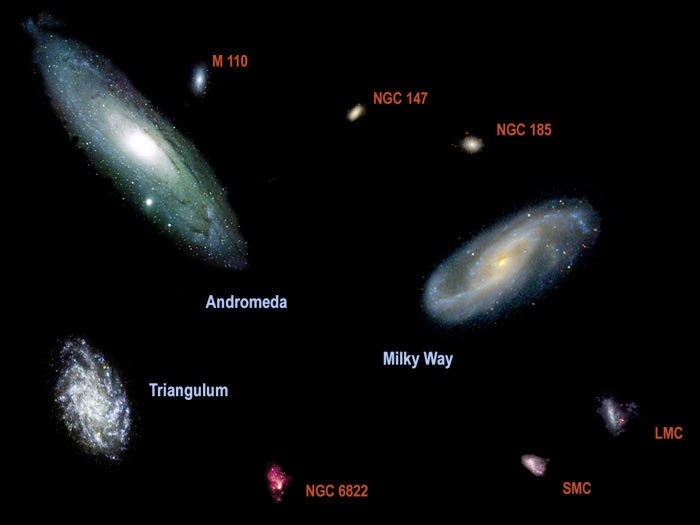 Examples of galaxies range from dwarfs with as few as ten million stars to giants with a hundred trillion stars, each orbiting their galaxy’s own center of mass. There are probably more than 170 billion galaxies in the observable universe. Galaxies are classified into three main types: spiral galaxies, elliptical galaxies, and irregular galaxies. The most beautiful type of galaxies are Spiral Galaxies. Their long twisting arms are areas where stars are being formed. The stars found in Elliptical Galaxies are often very old. This is because elliptical galaxies don't actively create new stars. The only stars found within them were created along time ago. Irregular Galaxies are simply all the galaxies which are not spiral or elliptical. They can look like anything and have many different characteristics. Galaxies with less than a billion stars are considered "small galaxies." In our own galaxy, the sun is just one of about 100 billion stars. There are billions of galaxies in our Universe. Most of these are clumped together in small groups. 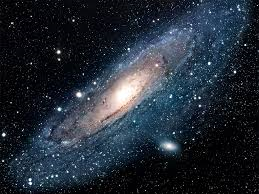 Our own galaxy which is called The Milky Way Galaxy lies within a group of galaxies that we call The Local Group. Some galaxies occur alone or in pairs, but they are more often parts of larger associations known as groups, clusters, and superclusters. Galaxies in such groups often interact and even merge together in a dynamic cosmic dance of interacting gravity. Mergers cause gases to flow towards the galactic center, which can trigger phenomena like rapid star formation. Our own Milky Way may someday merge with the Andromeda galaxy—just two million light-years away and visible to the naked eye from Earth's Northern Hemisphere. 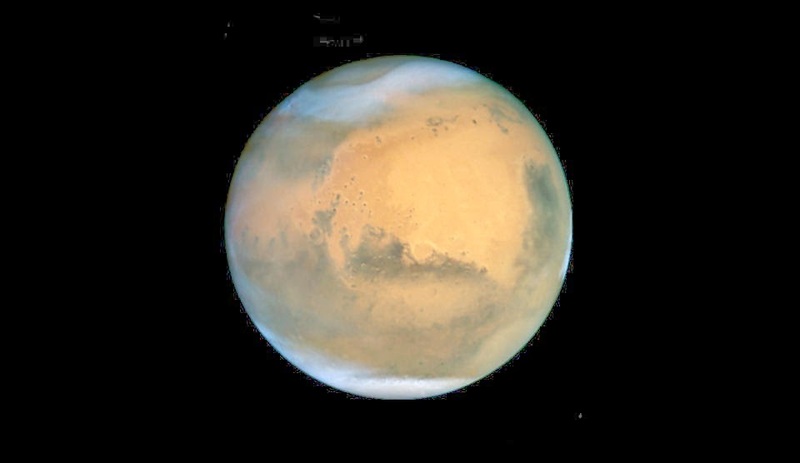 2014 Celestial Calendar: April 8 - Mars at Opposition. The red planet will be at its closest approach to Earth and its face will be fully illuminated by the Sun. This is the best time to view and photograph Mars. A medium-sized telescope will allow you to see some of the dark details on the planet's orange surface. You may even be able to see one or both of the bright white polar ice caps. It's impressive when you think about how far apart the stars are, yet how many of them compose our galaxy. Then with millions of light years separating the galaxies, and the fact that are probably more 170 billion galaxies in the observable universe . . . Wow. The size of the universe is beyond comprehension. I love it! Aren't they testing out dark matter in I think Tennessee down a mine today ... I sort of heard a clip but didn't pay that much attention - of course if I'd known I'd be using it here .. I'd have paid attention! Hilary, whoever can explain dark matter will win the Nobel Peace Prize in physics. And lots of money and fame and glory. What time can we see Mars? This evening? It's supposed to rain all day here, so I probably won't see it. I love reading and learning about the cosmos. About a month ago I spent the evening at the Nassau Astronomical Observing Station: Observatory Park getting my mind blown. But that's just it. This stuff is so fantastical to contemplate. How can we ever really comprehend the magnitude and power of the heavens? And it's not fantasy or sci-fi. It's all happening around us, even if we don't fully understand the process. I always feel smarter after I've read your posts (even if it doesn't last the whole day). Not holding out hope to see Mars here because it's been raining all day and the sky is one giant bunch of cloud cover. Lynda, I think there are online sites amateur astronomers set up for event such as this. wish I had a telescope right about now. Cecelia, even a cheapo telescope can zoom in and you can see amazing things in our night time sky. What I knew was the origin for the word galaxy. What I didn't know was there were spiral galaxies, elliptical galaxies, and irregular galaxies or that they could merge. Somehow I had it in my head that they were distinct. I do love this topic of galaxies. No shortage of material here. So that's what a galactic year is. Thanks for the heads up on seeing Mars, I'll watch out for that one. Galaxies, so beautiful to look at, we had a large book delivered when I was young of the most gorgeous glossy photos of galaxies but postie put through our letterbox while we were all out and our dog chewed it up so badly it had to be thrown out, I still feel gutted, lol. Sorry to hear that. Dogs just don't appreciate galaxies like they used to. Very interesting. I wish there was a way to see into the future and what that collision between galaxies would be like. Sounds beautiful and terrifying. It's fascinating and awe-inspiring to think about how big our universe is, and how many galaxies it has in it. My question is, what's on the other side of our universe? Just leaves me gobsmacked. Billions and billions of stars. Amazing. L.G., great to see you back up and running! Fe, I bet your galaxy cookies are out of this world! Our universe looks so static. Like it's set immovable in time in space. But truth is, we live in a very violent and troublesome world. But God's in control. Still, one lil' ol' asteroid can ruin our whole day. Thanks Tamara for stopping by and saying hello! I made a mistake on the last post, too bad they don't have an edit button. I said that galaxies sound fascinating and beautiful. They often show them in space movies in a dreamy sequence. Mary, at least we have amazing computer simulations of galaxies we can be amazed at watching. 170 billion? I can't wrap my brain around that number. I'm addicted to the Astronomy Picture of the Day, and I LOVE it when a galaxy or nebula is featured. These posts are soooooo cool.